I come from a (short) line of kitchen designers. (Sorry Dad but I know you won’t read this!) My father is an engineer with a secret passion for designing kitchens. All of his kitchens have something in common: Not only do they all have moulded oak doors but I know at least 5 kitchens that ended up having one door that would not fully open. Either there was a ceiling beam protruding too low, or a weird corner, or something unexpected was found behind the old cabinets that would force a last minute change to the layout – as a result there’s always just that one cabinet door that wouldn’t fully open. DO make sure you have the space and clearance for all the drawers and doors on the side, above, below and in front of them, including appliance doors. This is why you usually need to use fillers (a. ka fillets) in corners – they are not just for nuisance or a result of poor measurement – quite the contrary. The fillers need to be wide enough to give your drawers clearance from door/drawer handles on the other edge of the corner. Dishwasher and oven doors need to open properly without pinching against cabinetry. And the biggest culprit of them all: the fridge door. It needs to open more than 90 degrees for you to be able to pull out crisper boxes and shelves. That means it can’t be against a corner. It makes me sad to see kitchens, where the owner has clearly paid a lot of money for a kitchen and ended up having an unusable drawer blocked by a window sill. Sometimes we think our lives will completely change after having a new kitchen installed. In some cases yes that can be true, but usually, if you’re not a big entertainer now, the chances are that you won’t start having exquisite dinner parties afterwards either. Kitchen is no competition. There’s no point of getting a double oven just because everybody else has it and it looks cool. You might not need the $6000 steam oven. You can save a lot of money by buying only the appliances you do use – and you can spend that to get a better quality benchtop for example. Think about your lifestyle, how you use the space and plan how to use it efficiently. My previous blog post about designing kitchen work zones goes to that in quite detail. It’s very important you plan the kitchen to suit your way of living. The kitchen is a big investment and should last in average 7-13 years. I just said above the kitchen won’t make you change your life, but you might be in a situation when you have big life changes ahead. Perhaps you are starting a family – you need to consider the future changes and make sure you have enough room for the whole family to eat together or have storage space for the milk bottles, plastic Ikea cups and lunch boxes, which will be part of your life for the next 10 years. You might need to upgrade to a bigger fridge at some point, so don’t build the cabinet to match only the single person’s fridge. What?? That’s a weird statement. I’m not suggesting to go back to the same-oak-moulding-to-suit-all approach either. Trends come and go quickly, whereas your kitchen will be with you for a long time. It is very easy to change the doors or paint colour if you get sick of them. 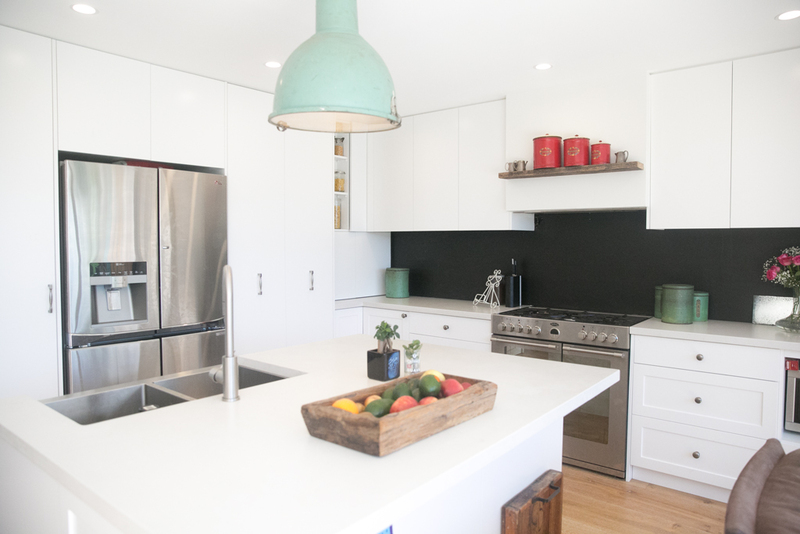 However, changing a splashback or benchtop might get quite expensive, not to mention changing the layout. Don’t go crazy with something that is trendy now but might pass soon. I have a client who bought a house with super expensive red marble everywhere in the otherwise nice kitchen. It was on the benchtop, the splashback, even the window sills, everywhere – and they just hated it. 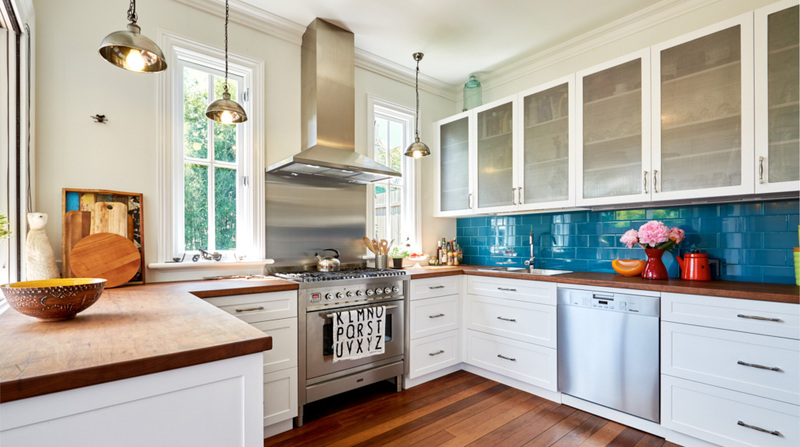 Your personal choices might make the kitchen awkward for the potential buyer. Go to kitchen shops and study online for inspiration. There are hundreds of different hinge solutions: a smart solution to suit every situation. 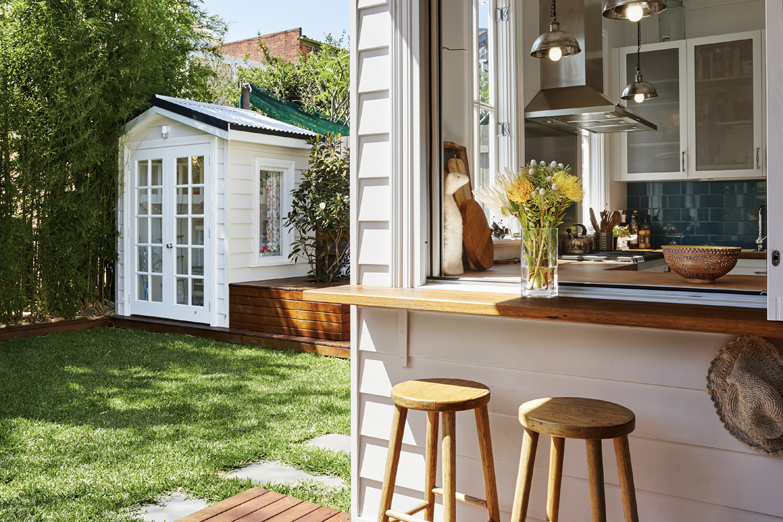 You might be able to fit a clever cabinet in that odd shaped location after all. Use every centimetre of the available space. 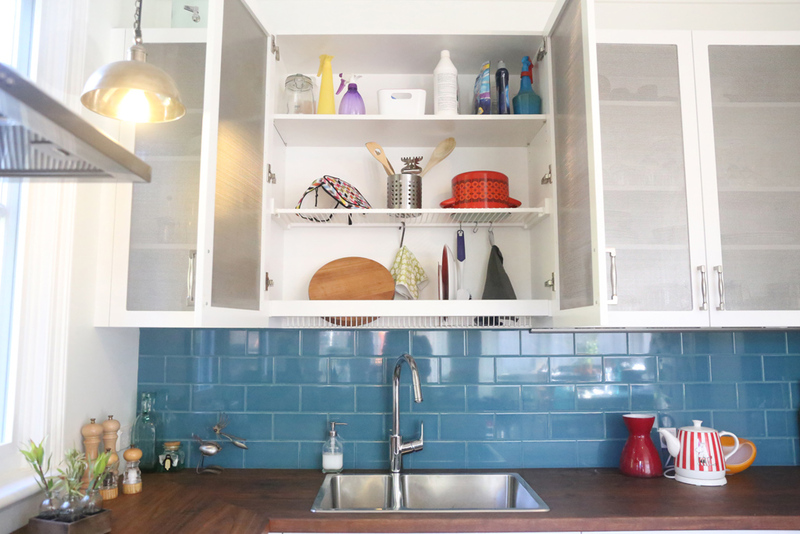 You might be able to use a very narrow space and fit in a cabinet for trays. There are corner solutions to use the corner spaces efficiently. This is my favourite cabinet – an invention by a Finnish woman back in the 1940’s – the dish drying cabinet above the sink. It hides your clean dishes to dry behind closed doors, removes clutter from your benchtops and allows you to claim the working space for working, not for dishracks. Sometimes it is very hard to think outside the box when renovating an existing kitchen. Your mind gets very easily stuck to the existing layout. It is worth to ask for a second opinion from somebody, preferably from a kitchen designer or a joiner, but perhaps a friend – or your father. Just remember the Dad rule if you do! I’m happy to help you to design your kitchen – drop me an email and we’ll work it through together! Enjoy this glorious Sydney winter weather!